Give Your Kids a History Lesson They’ll Never Forget! 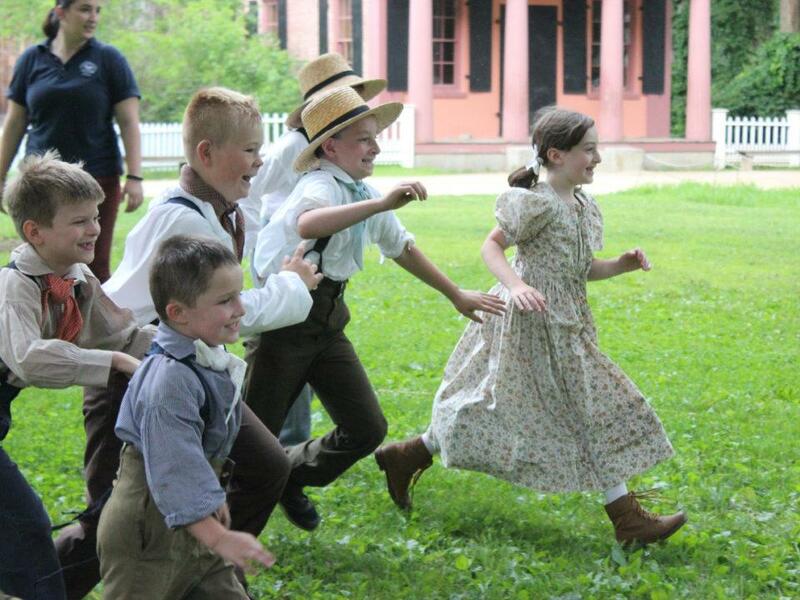 Discovery Adventures are immersive day camps that give kids ages 6-17 a chance to step back in time and experience life in the 1830s at Old Sturbridge Village. 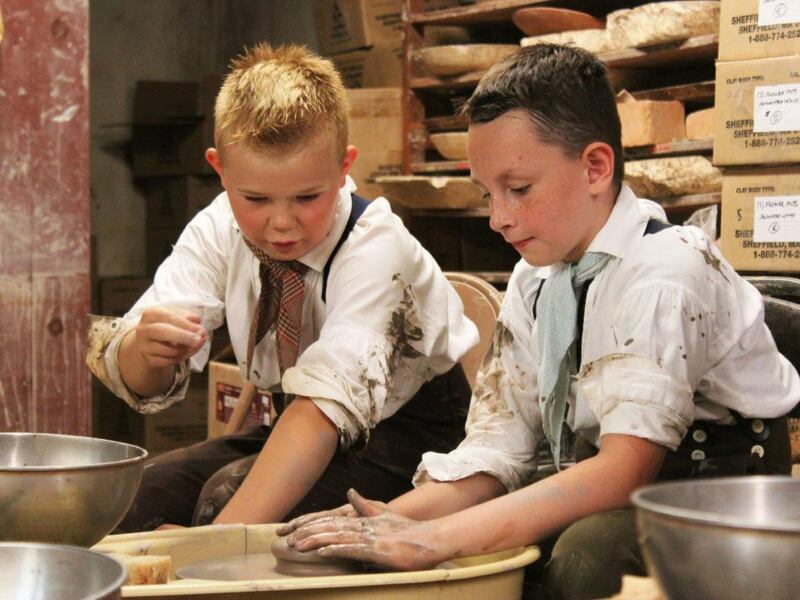 Every session offers kids the opportunity to explore an aspect of 19th-century history and daily life–from animal care and farming, to dirty jobs and hearth cooking! All programs include an afternoon snack, hands-on crafts, and the chance to learn something new while making lasting friends and memories. For registration and information on program offerings, click on the appropriate age group below. Register before April 30, 2019, and SAVE $25! Pre-registration is required for Discovery Adventure Programs. Registration closes at 7:00 am on the Wednesday before the start of each session. Sessions frequently sell out, early registration is encouraged. If you would like your child(ren) to be placed in a group with a friend or family member, it is strongly encouraged that all are registered at the same time. We are not able to add additional spaces once the program has sold out. When changes are possible, a change fee will be assessed. See add-on options, registration forms, and information letter here. Why was livestock so important to New Englanders in the early 19th century? Find out by exploring the life of a different farm animal every day of the week. We will meet the sheep, cows, chickens, pigs, and horses that live in the Village, learn how to tell a good egg from a bad egg, and the reason that blacksmiths are so important to keeping horses healthy. Calling all blossoming artists! Students in this program will try out art projects inspired by paintings, pottery, and prints of the 1830s. We will get inspired by the Village’s animals, gardens, and architecture to create beautiful art. The week will culminate in a show of our works! Do you like to get your hands dirty and explore nature? In this program, kids will immerse themselves in the natural world of the 1830s by planting; exploring the Village’s gardens; and learning all about the trees, birds, and bugs around us. How did people in the 1830s use natural resources? How did they preserve food and avoid waste? Kids will learn how farm families “reused” and “recycled” everything, over a century before the first Earth Day! From the time they were six or seven years old, kids were really important to the daily upkeep of a household in the 1830s. 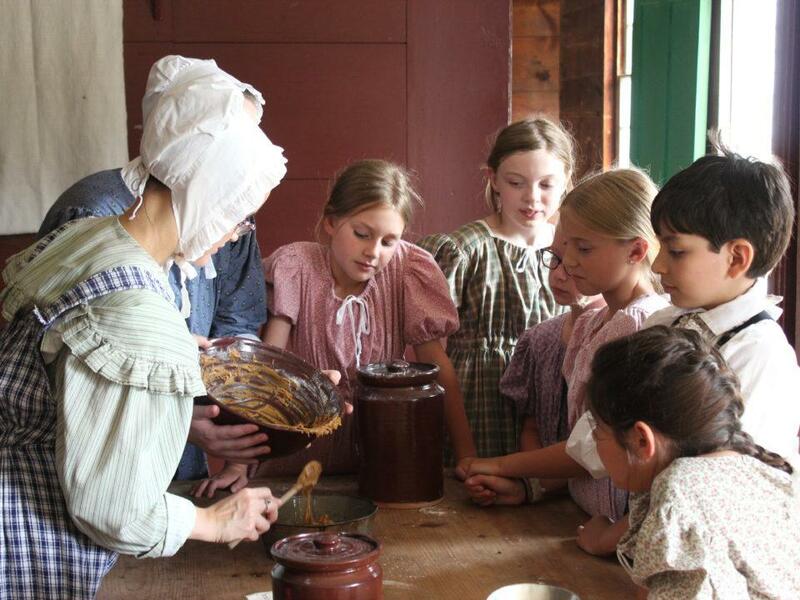 Participants in Cook and Create will learn how to cook historical food in a brick hearth, practice 19th-century crafts, and get their hands dirty with some typical tasks at home and on the farm. Life in the 1830s was dirty and smelly! 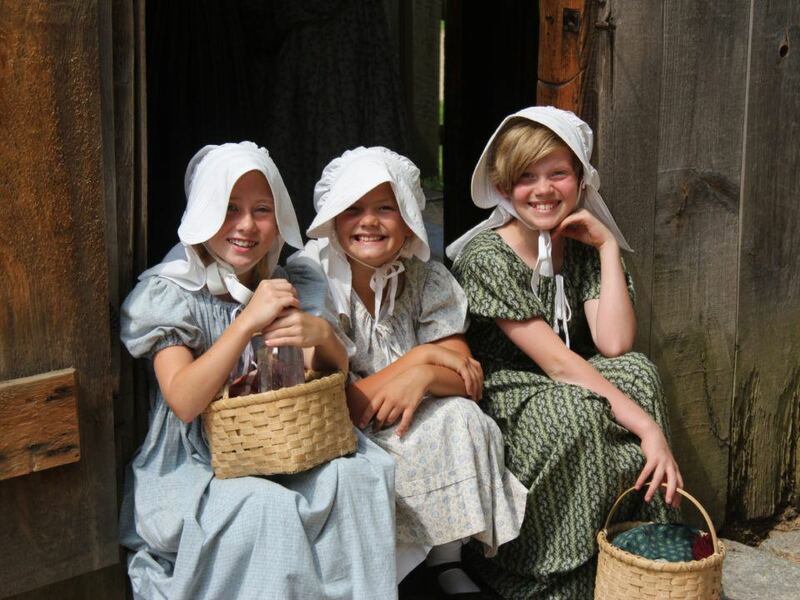 Participants will get hands-on experience with the messiest tasks of life in the early 1800s: helping farmers around the barn, digging in the dirt of the Village’s gardens, and helping with the messy task of cleaning wool. Laura Ingalls Wilder’s Little House books are enduring stories about country life in the 19th century. Though the stories take place in the Midwest, Wilder and her husband Almanzo had roots in the Northeast. We will explore the life of a rural farm family and experience crafts, activities, and foods mentioned in Wilder’s books. With new products from around the world, new transportation, and the exploration of “uncharted” territory, the world was getting a little bigger for people in rural New England in the early 1800s. Our intrepid pioneers will join the ranks of early naturalists, explorers, and inventors as they learn about the discoveries and adventures of the time! Explore the Village with fresh eyes as you try and unravel a week-long mystery! Detective trainees in this program will flex their mystery-solving skills as they decipher codes and hunt for clues. They will participate in traditional Discovery Adventures activities like hearth cooking and chores, all tinged with an element of the mysterious as they compile leads throughout the week. From the time they were six or seven years old, kids were really important to the daily upkeep of a household in the 1830s. Participants in Home and Hearth will cook historical food in a brick hearth, practice 19th-century crafts, and get their hands dirty with some typical tasks at home and on the farm. 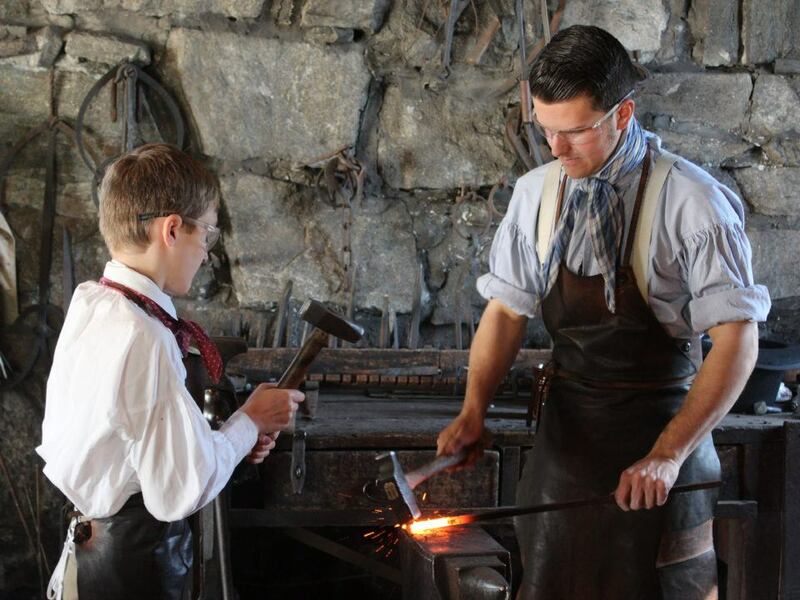 Plunge into the world of 19th-century artisans with this adventure that will give you hands-on experience with 1830s craft. Each day, we will focus on a different historic trade. After meeting with the Village’s knowledgeable costumed historians, we will work on our own exciting projects from clay, wood, and metal. Week 1 (July 8-12) will focus on woodworking. Week 2 (August 5-9) will focus on other historic trades but will also include a woodworking component. Please note: Because of materials costs, the fee for this program is an additional $25/child. 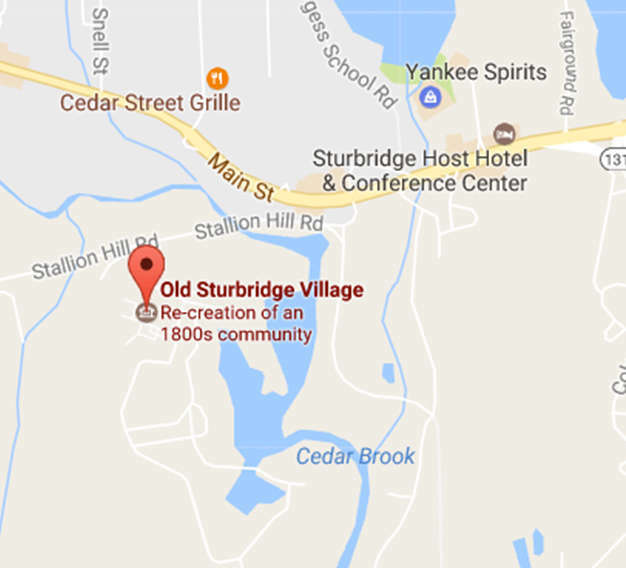 Taking on the role of a real 18th- and 19th-century Sturbridge militia or retired Revolution military man, our company will learn the discipline, drills, target practice, arms, clothing and personal equipment that were required of a member of an early New England militia. In addition to all the practice drills, you’ll try some authentic outdoor camp cooking and participate in other militia-related activities. Seeking young people with creativity and an interest in the arts! Flex your skills with paints, clay, paper, wood, and oil pastel as we draw inspiration from the art of the 1830s. By looking at the Village’s landscape as well as our collection of 19th-century art, we will create lovely art from a variety of media. Learning to sew and knit was an important skill for boys and girls in the 1830s. We’ll learn the basics of knitting, work on useful sewing projects like needle cases, and create skilled and beautiful embroidery. Try out wool dyeing, spinning, weaving; and explore the Village’s textile collections! Taking on the role of a 19th-century teen, learn the work of young men and women of this time period. Three mornings a week, learn and work alongside our highly-skilled costumed historians in Village exhibits through rotating station placements. You will also work on an in-depth craft project and share the experience of preparing and enjoying a 19th-century meal with your fellow Journeymen. New this year: participants can choose a “track” for their station placements, focusing either on food and textiles or historic crafts.